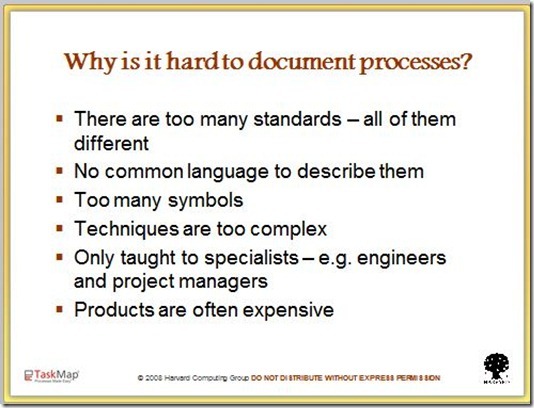 In the case of simplifying a process map, less is often more. 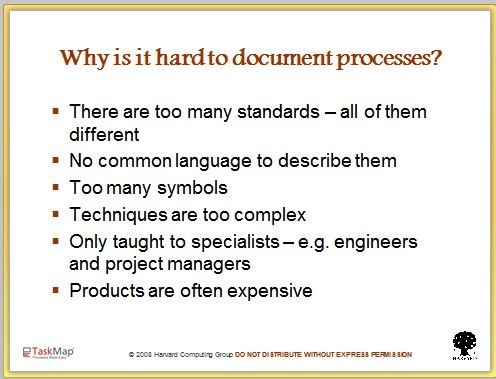 Harvard Computing Group examines the benefits of reducing the number of symbols used in a process map. By taking a simple approach to layout, the second post shows how top to bottom, left to right will increase the readability of maps dramatically.